Information gives you clarity. This is what we provide. Clarity. Professional, unbiased opinions is what most people are looking for. Quality home inspections provide the information you need to make a secure decision. 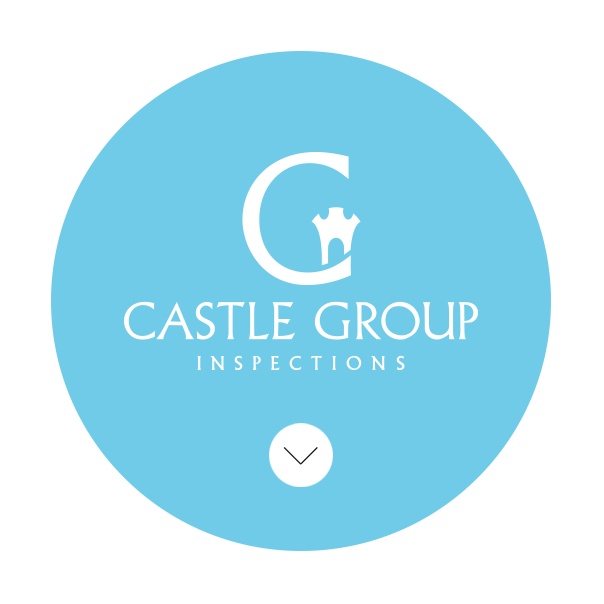 Castle Group Inspections will provide you with simple, clear and accurate information about your property. Walk with us while we inspect. We pride ourselves on our ability to explain & report on systems easily, for you to understand. Home inspections don't have to be complicated. Most people simply want to know the essentials. Whats the problem, when do I have to repair it and what is it going to cost. What, When & Cost. We provide this. We also try to expand on that with, preventative maintenance, guidance and perspective on what is truly an issue. We will also look for health and safety issues, when accessible. Not everything is negative though, we like to point out the good things your home has to offer too. Buyer Beware! Thats why you need an inspection. We help, so your not blindsided by unexpected costs. This will help you adjust your offer. Maybe the house isn't worth that much with all the deficiencies we find. Walk with us and learn how to maintain your new home. Later, if you still have questions, call. We firmly believe in ongoing telephone and email consulting, for as long as you need. Inspections help identify items to help prep your home. Something you may not have noticed. It also helps avoid last minute negotiations when the report is freely handed out. This helps your homes marketability by alleviate your liability. New homes require a different expertise. New homes haven't proven themselves yet. We have the experience to know how systems and builders perform. Understanding building codes is only the beginning. Castle Group inspectors understand the theory behind the code, to make the right decisions. Clean inspections help the marketability of the property. Not so clean reports help adjust the sellers attitude from "my house is the best in the world", to, "gee maybe there are a few repairs". The best part, we shoulder the negative outcome. We can handle it. Our pre-list inspection report is a one page summary, quickly delivering the facts. We will help consult with you over "best bang for your buck" repairs which can help with price adjustments. Its your call, we're here to help. Construction project management experience gives us the knowledge you need. Whether its for Condition assessment for due diligence or capital renewal planning. We have experience with commercial, industrial, retail, hotel, and convention facilities of all sizes. We are trusted enough to be called as expert witness for legal & Ontario Municipal Board hearings. Call us anytime for further details. Straight forward reporting is what we do best. Our company is directly related to the preferred home inspection software program used by professional home inspectors across North America. This relationship enables Castle Group Inspections to produce the most elegant reports. We say what needs saying. Thats it. We don't add wordy comments which often confuse. Ballpark costs so you can budget for the future. Lets you see the overall picture with only one page. Thats clarity. We instantly email the report on inspection completion. You'll have it on your phone before you get into your car. Best Home inspection company in the Greater Toronto Area (GTA). Well, if they say so :-) But really, we're not surprised. Castle Group Inspections, established in 1993, has over 20 years of construction management experience. Our inspection team exceeds consumer and realtor expectations with every report. We continually research home inspection practices, teach classes and speak at home inspection functions to remain cutting edge. You will come to see what thousands of our satisfied clients have. That we will exceed your expectations. Give us a call, we can help. Well done! Your now one step closer to a successfull home inspection.